Terminal box with glands for cables and ground mounted on the unit frame. With output signals (to ship control system) regarding "operation", "fault" by reversible contacts without potential with ability 1A, 24V or 220V. 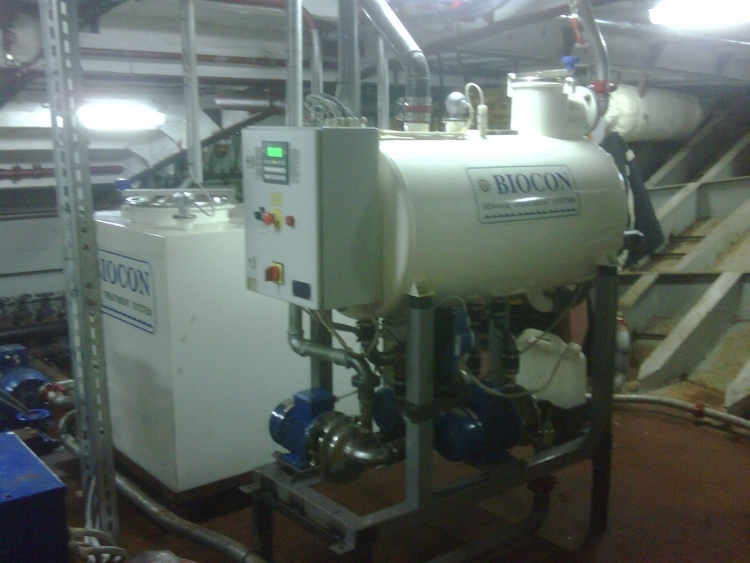 Sludge tank may be ship'supply or may come integrated with Biocon unit.